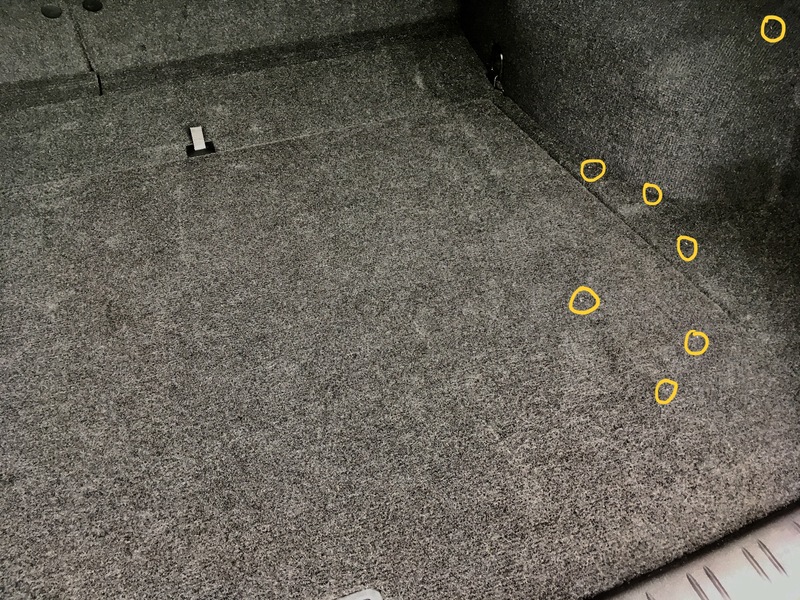 A recent article on car cleanliness described the bacteria that abound on car interior-surfaces. The results were shocking, with the headline announcing steering wheels had on average four times the amount of bacteria that public toilets did. It inspired some to clean their cars . Nonetheless I confess I felt no surprise reading this. This is one of my motivations for keeping my car clean- both inside and out. The air-quality inside cars is often not optimal. Academic work confirms this. One of the things we are very good at is monitoring and regulating emissions in the environment. For instance, water quality is measured for pollutants and bacteria like E.coli. We have standards for when it safe to swim in said water, and efforts to sustain and improve these are required. Air quality is similarly measured and monitored. Nonetheless, the risk of harmful health effects are related to both the duration of the exposure and its concentration. Most people spend very little time exposed to these external pollutants. On average, people spend very little time outside now. The duration of exposure is low. The problem is that various external ambient pollution standards don’t apply to internal environments. That means buildings, homes and cars. 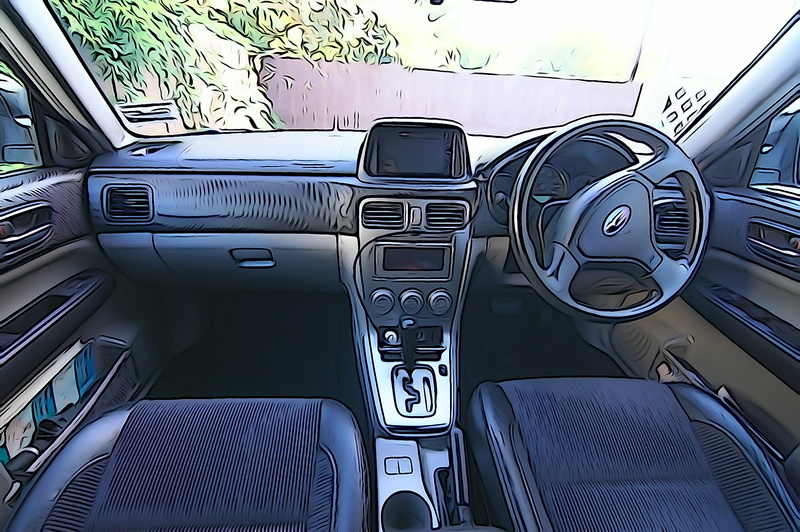 In fact many people spend a great deal of time inside cars. For instance, Americans on average are supposed to spend 17,600 minutes a year in a car. Like all averages, it means roughly half the population spends more than this. The irony is most regulators are far more concerned about our external environment despite our exposure to pollutants being mostly based on indoor environments. There are two main risks inside the car. One is pollutants. Being out on the road means your car is exposed to the tail-pipe emissions of the cars around you. Now while we may be compliant with emissions standards, and our cars have useful air-filters, these don’t stop everything. Various pollutants as well as microscopic bits of road debris will enter the car. These will circulate inside the car or bond to internal surfaces. 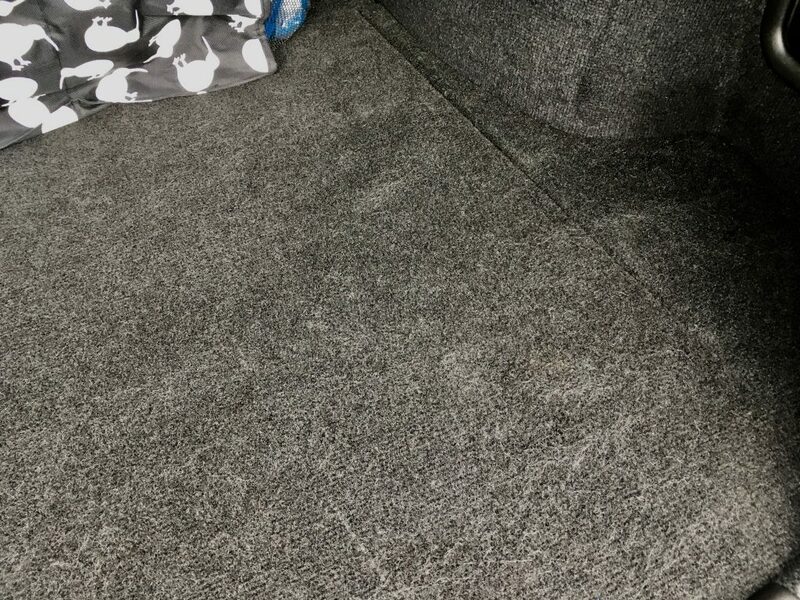 For instance, after my son vacuumed his car, I wiped the surfaces he’d vacuumed with a sponge and interior cleaner. Minute black bits of pollution came off the dashboard, dirtying my yellow sponge, despite the dash looking clean. The other risk, and the subject of the original blog, is bacteria. Spilled food is an obvious risk. But bacteria is transferred all the time. Respiratory illnesses may be coughed out. Transfer from hands is another risk. All of these are risks we can manage lower. So once you notice you the car is deteriorating, clean it as soon as you can. For example, here I noticed that my boot was starting to accumulate dust. So of course, pulled out the vacuum cleaner and fixed the mess. Well, obviously clean the car regularly. The article I referenced above claimed that 32% of (American) drivers washed their car once a year, with 12% never doing it. I don’t think NZ drivers are markedly more virtuous. Especially with what I see around me on the roads. This infrequent cleaning is not often enough. I do something to the clean the car every weekend. It might be a wash. It might be a vacuum. Or some clay-bar work on some stubborn dirt. Or apply protectant to the leather trim. Cleaning the car also means cleaning the inside, before anything has a chance to accumulate. So here’s some tips that work for me. Keeping a car clean isn’t any different to keeping any room or similar, clean. It takes continuous effort. It’s not something you do every month or 3, then neglect. And it’s much easier to maintain a car in a clean state than it is to have to do a big clean infrequently. Shampoo and brush the upholstery and carpets also. The vacuum cleaner does not get rid of everything. 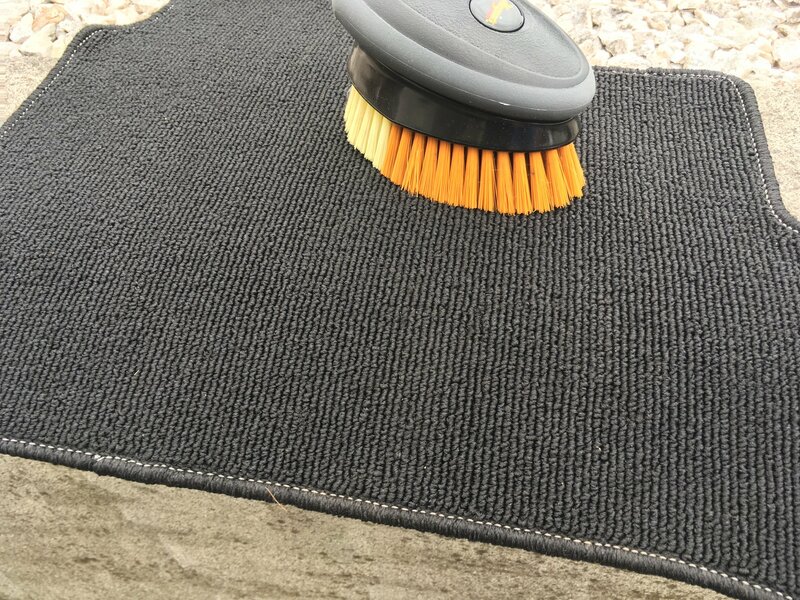 A good car carpet/upholstery brush will help dislodge dirt and other particles trapped in the fabric that the vacuum struggles to remove. Remove all rubbish after every trip. Leave nothing behind. Shake out the mats also after every trip. Don’t have kids. They’re expensive and they spill food like a blindfolded-waiter on a skateboard. But if you do have them, you know you will be forced to wait for them in car-parks for lengthy periods of your life. Use that time to give the car a clean. Carry some interior cleaning wipes or glass wipes. That will also remove many germs. Make sure the air-filters are changed regularly. There’s a filter under the bonnet of every car that tries to trap stuff before it is sucked through your vents. They don’t work so well when they become clogged. They have to be changed as part of your regular car servicing. Drive less. For instance, I drove my car only one one day in the last week. The rest of the time I biked. Not driving a car really helps keep it clean. It’s also good for fuel-expenditures and personal fitness. Don’t eat food in the car. Stop somewhere to eat. If you do eat, have some alcohol-based hand-sanitiser on hand to clean your hands first. Be prepared to vacuum the car as soon as your trip is over. If the climate permits, close the vents, especially when driving in dense traffic. Sometimes my cleanliness-routine is mocked. But there are advantages. For instance, when I was in hospital I asked a friend to drive my car home (to reduce my parking-bill). He’d never seen my car before, but when he came to collect the car, I didn’t need to tell him where I parked it. “Mate” he said, “I know where your car is. It’s the only one glowing“. More to the point, the car is clean and hygienic. Your nose won’t wrinkle in response to dust layers on the dash board or food decaying under seats. Your exposure to both pollutants and bacteria is reduced.